What an amazing day to have a wedding !! Katrina and Jamie booked me 2 1/2 years in advance as they wanted to make sure they secured my wedding photography service far enough in advance so no one else could book it. Everything was hosted at the stunning Eastwood Hall wedding venue where Katrina would have her bridal prep captured from 9am all ready for their 12:30 ceremony. The day ran so smoothly and everyone was completely relaxed during the bridal prep, after all we were in the great hands of Lilly Monroes for hair and makeup, having plenty of time and a lovely relaxed environment allows me to capture and create some stunning images. The weather really could not have been any better, its was warm enough to not have to worry about wearing a jacket or not but just right for a bride in a stunning wedding dress. 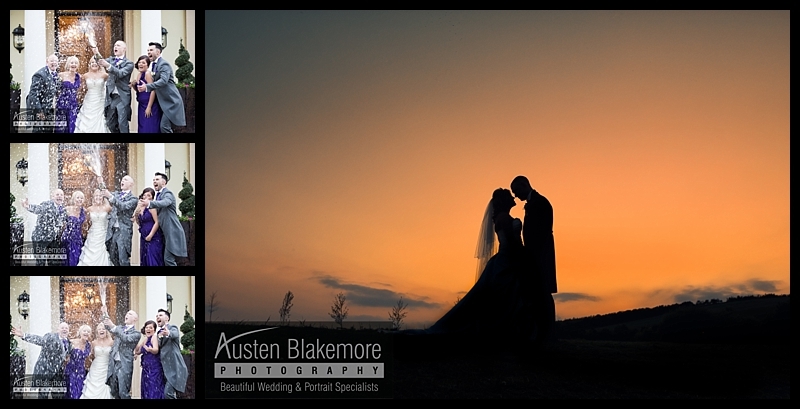 My whole goal for the day was to capture beautiful, natural and relaxed images of both katrina and Jamie's children and of course their wedding guests throughout the day, however is was hungry for one particular shot.........THE SUNSET !!!! As a Nottingham wedding photographer who has worked at Eastwood Hall on so many occasions I know all the best places for capturing images that I know will suit my style and the way I work. We managed everything on their wedding day from superb Sunsets to amazing popping open the champagne bottle images, we did it all and what an amazing end to my birthday celebrations than capturing a beautiful sunset and having a beer with the the groom. 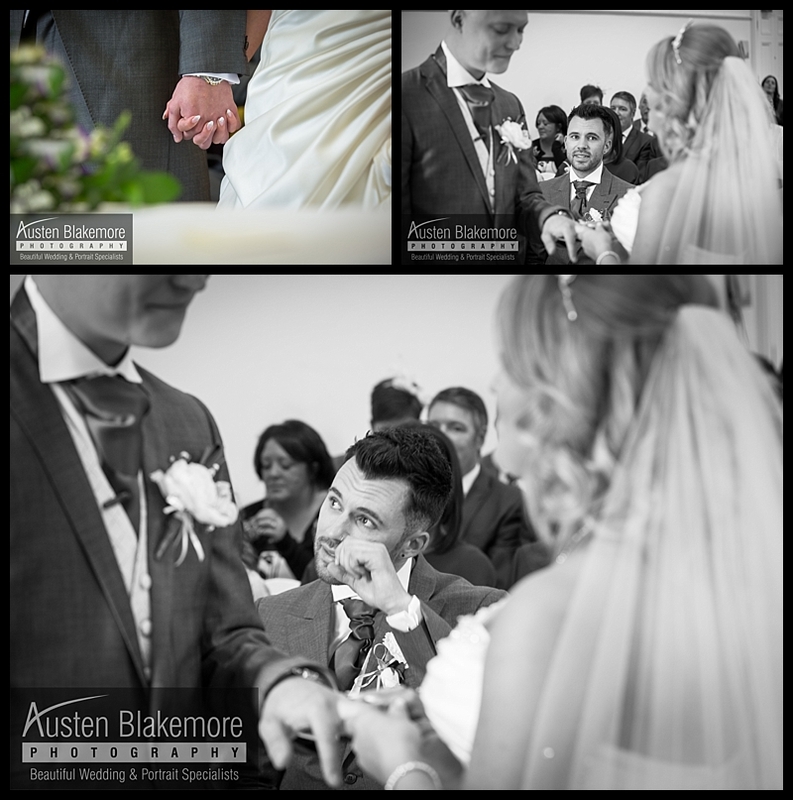 Katrina and Jamie thank you so much for choosing Austen Blakemore Photography to capture such a truly awesome Nottingham Wedding.